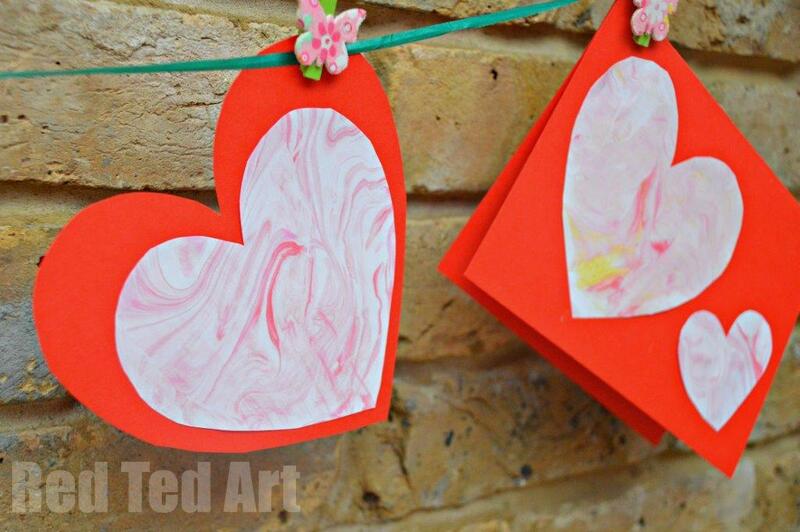 31 Days of Love Continues with this Shaving Foam Marbling activity from Afterschool for Smarty Pants to make your own “mass produced” Valentines Cards for Kids. 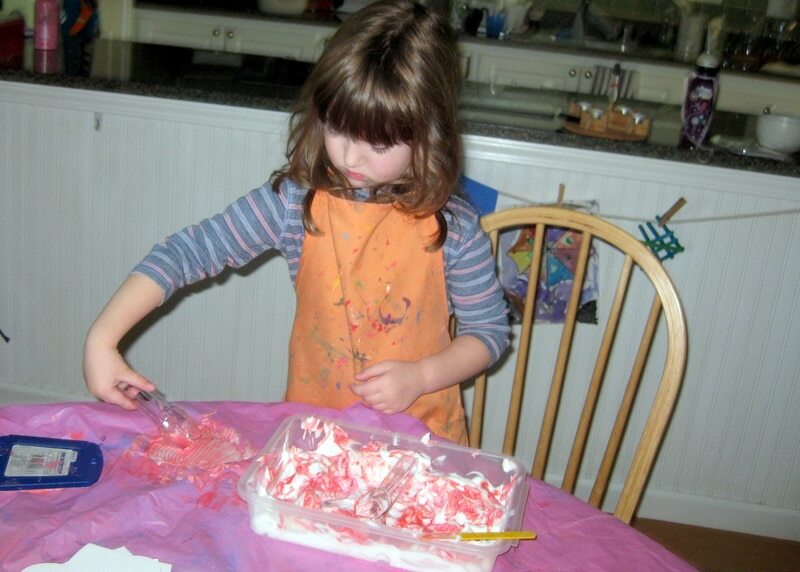 Mass produced is a good term.. as the kids adored the process and marbled sheet after sheet of paper. It was quick to set up and was clean messy fun!! 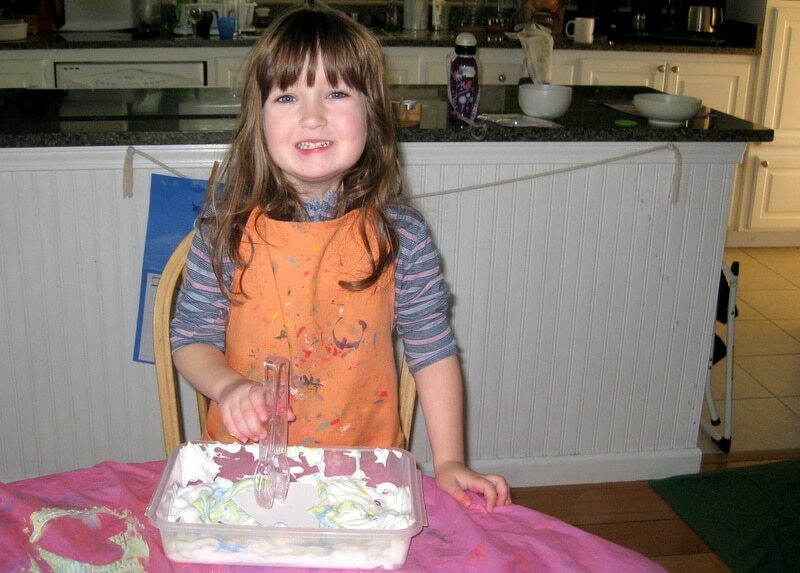 I can see us doing more Shaving Foam Marbling at Easter or “just because”. We have saved some of our marbled sheets for cutting and sticking during one of our Daily Creativity sessions and the kids had some great sensory fun with our shaving foam tray in the sink afterwards. What a bargain of an activity. 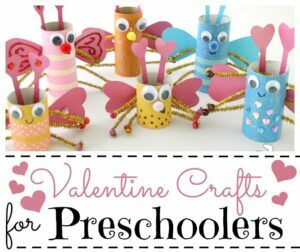 This is a great Valentine’s Craft for Preschool and make gorgeous Valentines Cards for Kids too! Over to Natalie from Afterschool for Smarty pants! There are kids who love to do art. Smarty is not one of them, at least not at home where she’d very much rather read or play games. Over years I learned through experimentation that she is more interested in crafts which have practical purpose and are 3-dimensional. So when we needed to make Valentines for 25 kids in her kindergarten class I decided to combine science and art and make Valentines with shaving cream paint. One can of cheap shaving cream. A few squirts of paint. You can use any paint really – food colouring is good or acrylic paint – red for girls and yellow/blue combination for boys with an additional wow factor of mixing it into green. 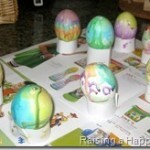 A lot of patience and encouragement as your child digs into this project. 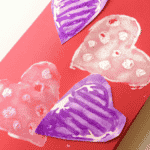 Amazingly, after my demonstration my then 5 year old made all 25 Valentines on her own. 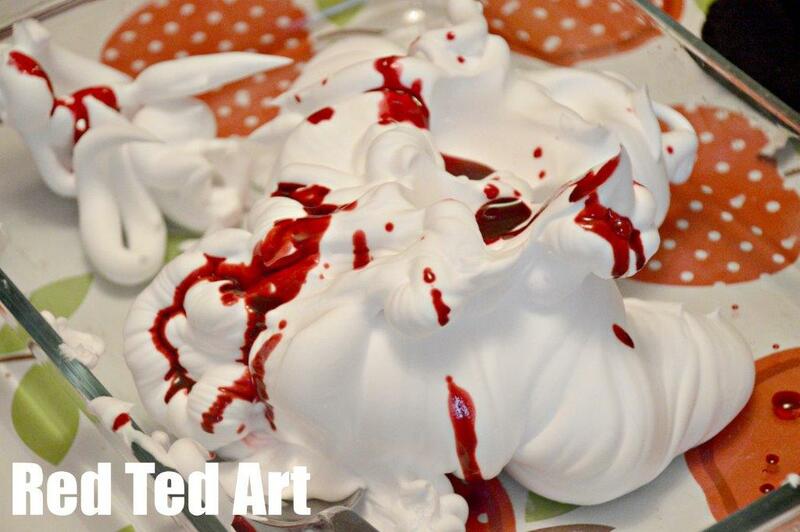 1) Squirt your shaving foam onto your dish (the kids loved having a go at this too). We soon learnt that less is more!! You can always squirt more white as you go along. 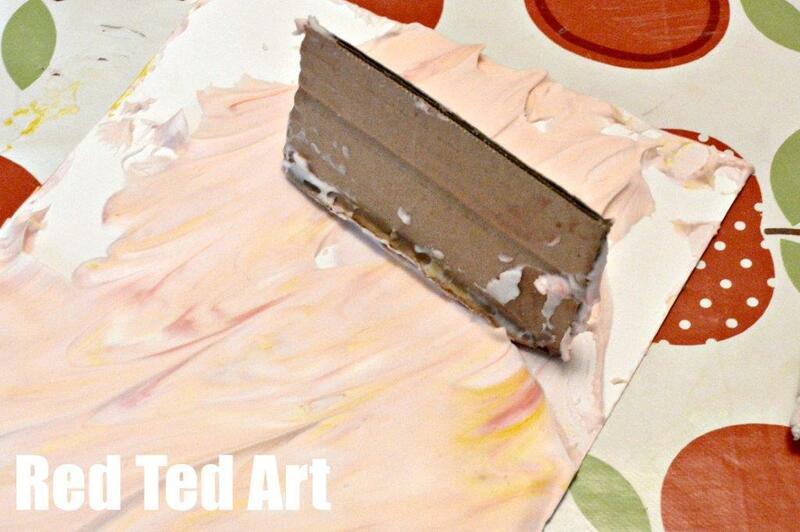 2) Add your paint – drip a few spots here and there – to give an even spread. Mix a little with a spoon. We started off with red and pink. As the more layers of paper you make, the more mixed up the colour and the shaving foam get. Which means our paper got more and more pink. 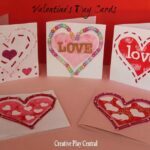 Great for Valentines Cards for kids. If you want to do shaving foam marbling for Easter, you could start off with a yellow, if you want to do shaving foam marbling for Christmas Trees, start off with a green etc. As the shaving foam got pinker and pinker, we added a little yellow. And then a little blue. When it started to look grey we stopped and the kids had a bit of clean messy play in the sink with it! 3) Place your paper or light card on top of the shaving foam and press gently. (If you want you can cut out shapes beforehand already and lay those into your tray). Lift off with some handy tongues..
4) Lift off and scrap off the excess shaving foam using a scraper or a piece of card. This did a get a little messy, but we had a wipe clean table cloth.. and at the end of the day it is all soap, right?? Such clean messy fun! 5) Put do one side to dry. 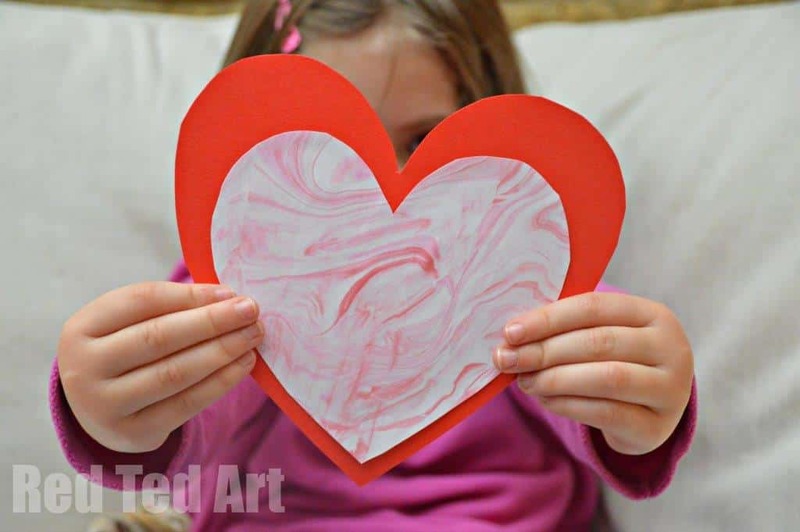 6) Once dry cut out large heart shapes for the children. 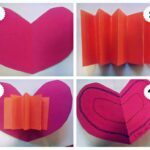 For older children – cut them a heart shape template and get them to trace and cut themselves! The marbled paper looks great “just as it is” or you can stick it on brightly coloured card. 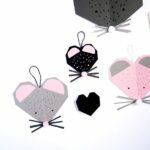 Alternatively, cut out hearts and string them up for some Valentines Bunting for kids! 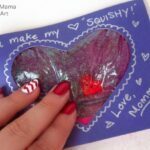 As my 5 year old was still a reluctant writer, I had only one requirement – each Valentine had to have her name on it (she is lucky and has a short first name). She had all creative tools at her disposal – markers, stamps, stickers, etc. We did card writing over several days, and it was interesting to see how she worked more on cards for her favorite classmates. 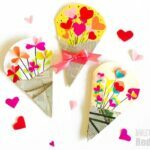 She received a lot of compliments for her unique Valentines when she gave them out. 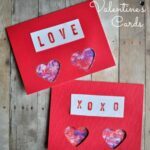 Sadly, last year we didn’t have time for something involved, and she wrote and decorated store-bought blank Valentine cards. We are still deciding what we will do this time around. 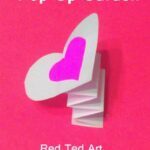 I am delighted to be here at Red Ted Art today. My name is Natalie, and I blog at Afterschool for Smarty Pants. 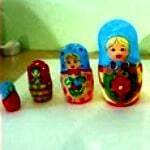 I am working full time in high tech industry and raising one daughter. As you can guess from my blog title, Smarty is a gifted learner who loves books and enjoys math and science, so these subjects are the main themes of my blog. She is now in the second grade, but the project I am sharing was made 2 years ago when she was 5. You are welcome to learn more about me and connect through Facebook, Pinterest and Google+. 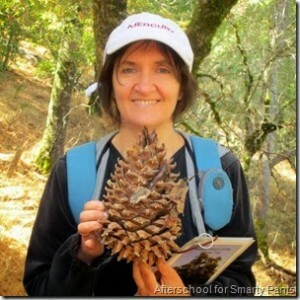 Thank you for organizing this series and letting me to guest post, Maggy! 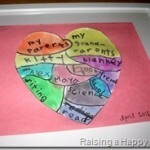 I am glad your kids enjoyed making their own hearts this way. Love your photos! Lovely to have you visit and we had SUCH fun having a go at your idea!! The kids adored it! What a great post! This looks like so much fun! Thank you for sharing! Shaving cream is always a hit around here! We haven’t tried painting with it yet, though… I’m thinking when the Christmas decorations comes down, we will need to make some hearts to put up on the doors!